Inside: If you’re trying to figure out how to deal with going back to work after baby (because the thought of it makes you feel like you’re dying inside), these must-read tips will help. 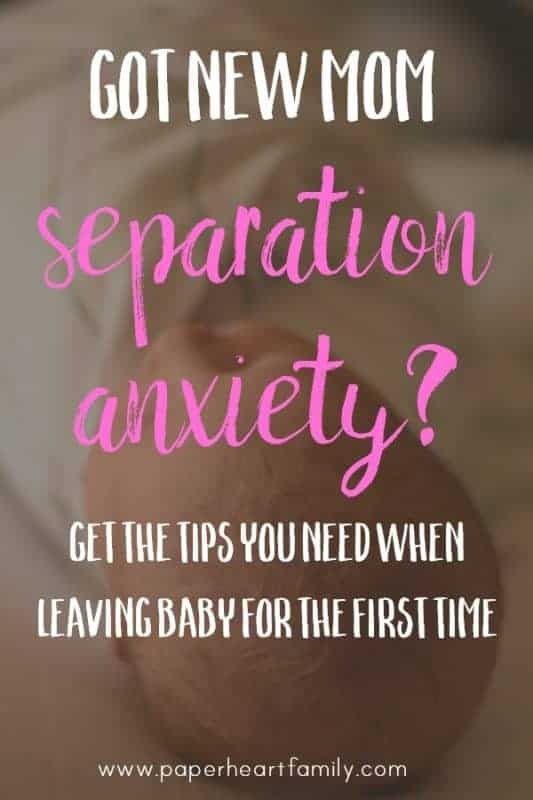 It’s normal to feel anxiety when going back to work after baby, but preparing yourself will make the transition easier, for you AND baby. You are mama bear, and I hear your roar. Leaving baby for the first time or to go back to work is so incredibly hard. You might feel like a crazy, overprotective lunatic riddled with separation anxiety. Welcome to the club. That’s what happens when you become a mother. I remember not wanting other people to HOLD my baby, so as you can imagine going back to work felt like someone was ripping my heart out. Having a log like the one below was essential for me. Both of my children had milk protein sensitivities, so I needed to know what I ate, how they slept, when they pooped, etc. And I wanted to know what her day consisted of. I also have a caretaker (love you, mother-in-law!) who believes that ice cream is a health food. It’s dairy, she says! This handy little paper, I like to believe, gives her a little more accountability. No matter what, leaving is not going to be easy. But what is with new motherhood? My tips will make it a little more easy to bear. If you are leaving baby for the first time, just go on a few short trips and work your way up to a longer absence. FYI: a 30 minute trip to the grocery store solo just might rejuvenate you as much as a day at the spa. If you are returning to work, do not let that be the first time that you are away from baby. Or the second. Or the third. With my first child, I think I had been away from her a whole 3 times before going back to work. And I was proud of that. But looking back, it was a mistake. It made it more difficult for both of us. Have baby stay with your caretaker before the big day. Stay with your baby and caretaker for a while so that your baby gets used to the person with you (her comfort) there. Let your caretaker know what baby’s typical schedule is and what you EXPECT from the caretaker. It’s so important to know what happened with baby that day so that you can feel connected. How much milk did baby drink? How were naps? Get my free printable that makes it simple for your baby’s caretaker to write down the specifics of the day. Choose a caretaker that you feel extremely confident in. There are so many times that I’ve heard about moms who feel uncomfortable with their caretakers in some way. You have options! You should love the person who will be spending the day with your baby. That person should listen to your wishes and should be honest and open with you. Don’t be afraid to check-in during your lunch break. Hearing a reassuring report will help you to relax and make it through the rest of your day. Deciding how often to pump while at work and whether or not you should pump at home as well can be tricky. Learn what you need to do when choosing the perfect breastfeeding and pumping schedule. Unfortunately, leaving a breastfed baby can be a little bit more challenging. Get your baby used to drinking from a bottle, but also know that some babies will simply wait for you to return. Know that this is normal, and that baby will make up for it. In the middle of the night. Yay. Regardless, you are a busy mom and you need the right tools to make pumping quick and (sort of) painless. You can learn more about my 5 pumping must-haves and read all of my tips for returning to work and breastfeeding. Remember that some time away is good for you. Becoming a mom doesn’t mean that that role defines you. Don’t feel bad about taking care of YOU. 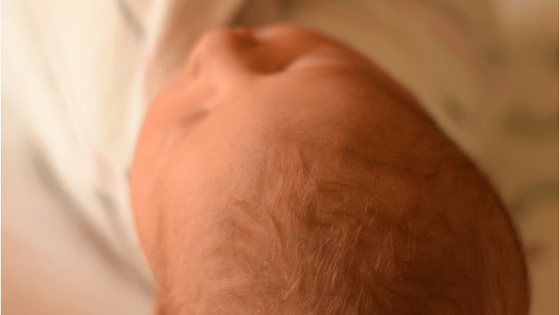 How does the thought of leaving your baby make you feel? Oh I know this feeling exactly! I left the classroom to teach at home, so I did not have to leave my little one. But I still have to go in occasionally to work with students or for meetings and we (I) survive just fine. However, when I was scheduled to attend a conference out of state, I had to turn around hours after landing because my baby got the stomach flu and was on nothing but breast milk! Now my baby is a toddler and we did a lot of practicing before she started preschool and we (I) did not shed a single tear! It’s hard being a mama bear! It’s VERY hard being a mama bear! Love love this! I struggle with this so much I recently wrote a post similar to this! It definitely helps when your child is with family! I had 2 MSPI babies. It definitely added to the stress! One of the HARDEST parts was leaving, I felt like he needed me there but he was completely fine with Dad or Grandma. I still feel guilt leaving and it doesn’t help that he can verbalize now! At the end of the day, you’re right, it’s important for YOU. Important, but still so hard! I just feel in my heart that I’m supposed to be with them! I’m so grateful, but I was so happy when my 5 year old started school and I regained control over what she eats ? I think it’s our instinct to want to be with our babies! Glad to help! Love the printable! Shout out to all the working mamas out there. You are superwoman! Don’t know how you do it. Sometimes I wonder. It’s not easy!